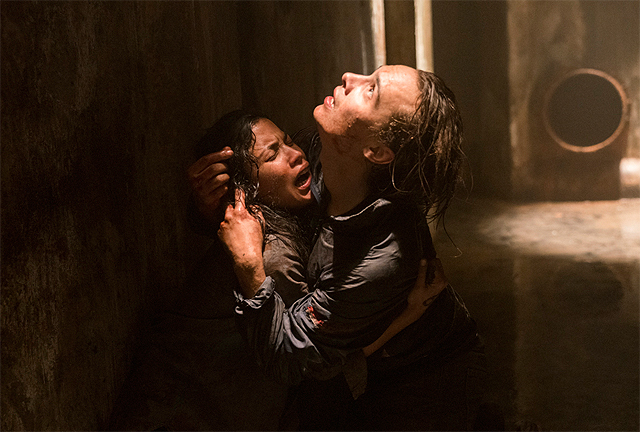 AMC today released a series of first-look photos and the official synopsis for the upcoming third season of Fear the Walking Dead, currently shooting in Baja, Mexico. Check out the Fear the Walking Dead Season 3 photos in the gallery below! Fear the Walking Dead returns this summer with a third season of 16 all-new episodes. Viewers have a chance to catch-up on the latest season of Fear, which is currently available On Demand through Monday, March 20 and on Hulu beginning Tuesday, March 21. A wholly original companion series to The Walking Dead, the #1 show on television among adults 18-49 for the last five years, Fear the Walking Dead explores the onset of the undead apocalypse through the eyes of a fractured family. The series is executive produced by Robert Kirkman, Gale Anne Hurd, Greg Nicotero, David Alpert and showrunner Dave Erickson and produced by AMC Studios.